Bilateral relations between India and the Dominican Republic (DR) have been friendly and cordial and continue to widen and deepen in all spheres. Diplomatic relations between India and Dominican Republic were established in May, 1999. A Memorandum of Understanding was signed in May 2001 in Santo Domingo to hold regular Foreign Office consultations. DR supported India for UNSC non-permanent seat 2010 and had also assured support in writing for our candidature in 2018. DR is also a signatory of Framework Agreement of the International Alliance, an initiative led by India and France. MOS (Shri Rao Inderjit Singh), MEA visited Dominican Republic in September 2004. During the visit, the DR government announced its intention to upgrade diplomatic relations and open an Embassy in New Delhi. It also invited Indian companies to develop business and invest in areas such as IT, Pharmaceuticals, and infrastructure projects. The DR leaders offered to work with India in the UN, WTO, and other multilateral forums. MOS offered ITEC training slots and technical assistance to DR.
DR Foreign Minister Carlos Morales Troncoso visited India in February 2006 heading a high level delegation which included Ministers of IT and Investment, Higher Education and Science and technology, Deputy Tourism Minister and 12 business delegates. The delegation visited Delhi, Agra, Bangalore, Hyderabad and Mumbai. Immediately after the visit, DR opened its Embassy in India on 1st May 2006. An agreement on Bilateral Cooperation was signed by DR Foreign Minister and Minister of State Shri Anand Sharma in Delhi on 17 February 2006. MOS (Shri Anand Sharma), MEA visited the DR in February 2007. In June 2008, Deputy Minister of Foreign Affairs, Mr. Clara Quinones de Longo from Dominican Republic attended the Second India -Central American System for Integration (SICA) Foreign Ministers’ meeting in New Delhi. Setting up of an IT Centre in Dominican Republic was announced at the meeting as a symbol of South- South cooperation. Minister of State for External Affairs, Dr. Shashi Tharoor visited Dominican Republic at the invitation of President Dr. Leonel Fernandez Reyna from January 23-25, 2010. During the visit, wide ranging talks were held with the President and the Foreign Minister Mr. Carlos Morales. MoS (ST) signed an MoU to set up an IT Centre for Excellence in DR with the assistance of GOI. The Centre was inaugurated by the President in August 2011. CDAC India ran the Centre with three Indian faculty members for two years. MoS (ST), also held discussions with DR Foreign Trade Minister Mr. Eddy Martinez Manzueta. President of the Dominican Republic Dr. Leonel Fernandez visited India and attended the Delhi Sustainable Development Summit held from February 3-5, 2011. During his stay in India, besides meeting with Prime Minister and External Affairs, he met with Indian business tycoons and attended seminars at Mumbai, Bangalore and Delhi by FICCI, CII etc. He also addressed the Indian Council of World Affairs. A high level business delegation accompanied him. General (Rtd.) Shri V.K. Singh, Minister of State (VKS) visited DR in February, 2015. He met Foreign Minister, Navarro, and delivered an address on India’s policy towards LAC region and also interacted with business leaders. An Agreement for Cooperation in Renewable Energy was signed. An Agreement on gainful occupation for family members of diplomatic mission was signed in June 2016. Bilateral trade between India and the Dominican Republic has increased significantly in last few years, with balance of trade in favour of DR. Bilateral two way trade stands at around US $ 900.23 million in 2016-17. Main items of India’s exports are cotton textiles and readymade garments, drugs and pharmaceuticals, furniture, transport equipment, manufactures of metals, chemicals, plastic and linoleum products, tea, processed foods and marine products. During the current financial year there has been substantial increase of imports of precious stones, semi precious stones, jewels, coins etc. by India from DR. Under the ITEC programme, the Government of India has been offering 10 slots per year to the Dominican Republic for training in various institutions in India since 1999 which has this year been reduced to 5. DR is also being offered slots under PCFD programme run by the Foreign Service Institute. A large quantity of life saving drugs worth USD 50,000 was donated to the DR Foreign Minister in March 2006. The donation was very well appreciated by the DR government. There had been widespread damage to life and property in Dominican Republic due the Tropical Storm Noel in Oct-Nov 2007. Upon the official request of the Government of Dominican Republic, India donated the medicines as humanitarian assistance. A classical dance exponent in the Dominican Republic received an ICCR scholarship in 2002 to attend a course in Mohiniyattam in Kalamandalam, Kerala. An exhibition on Gandhi was organized at the Global Foundation in May 2006 and in Colegio Mahatma Gandhi in September 2006. Fifteen DR professionals are working for IVY Comptech, a BPO company based in Hyderabad. ‘Living Arts’ an ICCR sponsored Rajasthani Dance Troupe visited Dominican Republic from 2 – 7 October 2008. This was the first cultural visit at Government level. An 8-member martial arts group “Hindustan Kalari Sangam” from Kerala sponsored by ICCR, performed two shows in Santo Domingo on November 8-9, 2010 in collaboration with the DR Government and the Dominican Ministry of Culture. Bilateral CEA was signed in August 2012. Indian Food Festivals were held in Santo Domingo in October, 2013, March and October, 2014. Indian Film Festival was organized on DR Television during April 2014 and from 11-23 August 2016 by the Directorate General of Cinema of DR. A Rajasthani folk dance troupe performed in DR in February, 2015 and a 10-member Kathak group led by Ms. Shovana Narayan also performed at Bellas Artes Theater on 28th March 2017. On the occasion of 70th Anniversary of India’s Independence, the Embassy of India in collaboration with the Ministry of Culture, Government of India, India Tourism Development Corporation (ITDC), Ministry of Culture, Government of Dominican Republic organised a Food Festival from 6-10 August 2017 and performance by 9-member Kathak dance group led by Ms. Shubhada Dubey on 12th August 2017 in Dominican Republic. In addition, Embassy has also organized a Photographic Exhibition on the ‘Heritage Architecture of India’ in Santo Domingo from 7-27 August 2017. 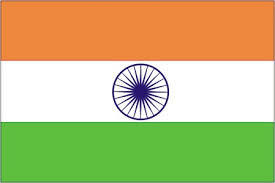 At present there are about 50 Indian nationals and people of Indian origin living in the country. Some of them are students in medical colleges and others are working as engineers, software experts or representing Indian companies. Several businessmen also form part of the community. Satya Sai Baba of Putthaparthy has a following in the Dominican Republic along with those of Sri Sri Ravi Shankar’s Art of Living Foundation. A number of the visitors from Dominican Republic to India happen to be Sai Baba devotees.